Reborn clothing is always a fun part of collecting the babies. With new clothing coming out all the time the clothing collections themselves can become large. 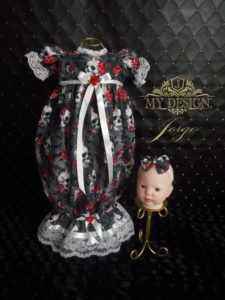 Buying creations from My Design Jorge can help to increase your collection as one outfit is never enough. His designs are so cute that you will fall in love with so many of them. There are a huge variety of patterns with his outfits that would fit anyone tastes. I love the designs that look elegant, and he makes plenty. Every week Jorge creates new outfits so it would never take long to find one that you really love. His outfits do tend to sell out very fast so you will have to make sure you are fast. Each outfit tends to come with accessories to complete each look. 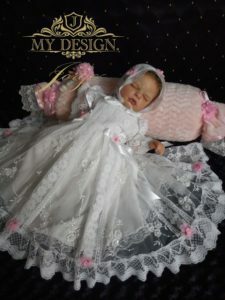 The photos that can be taken of your babies wearing Jorge’s creations are so cute. Bringing out the true awesomness of each baby you have.